Wear Grey for a day in May, Brain Tumour Awareness Month. Clothing, hats, fingernail colour, it all counts! Our company founder, the late Dale Rempel, had a brain tumour. In memory of Dale, Team Rempel will be wearing custom Grey T-shirts each Friday in May. The Canadian Brain Tumour Foundation of Canada says that every day 27 Canadians are diagnosed with a brain tumour. We want everyone to know the importance of research in ending this devastating disease. So Get your Grey on! Let’s do more than have hope for a cure. 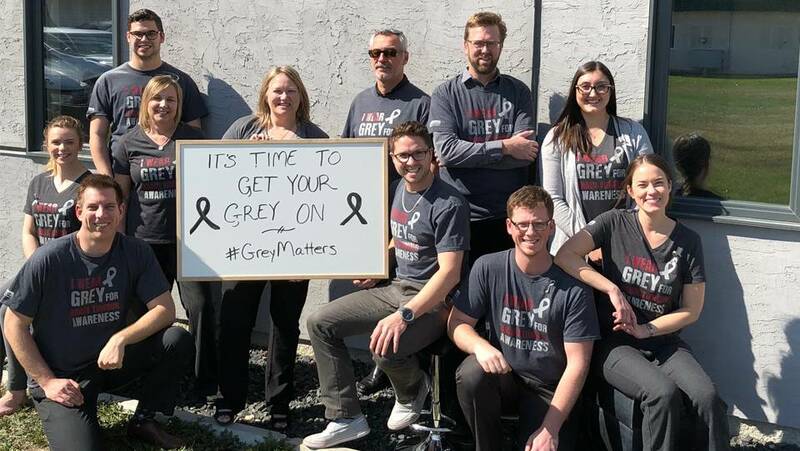 Encourage your family or office to wear Grey for a day.